The death toll in the attack on worshipers at a mosque in Mubi, Adamawa State, has risen to 50, police say. More families are being thrown into mourning in Adamawa State, as death toll in Tuesday’s Mubi mosque suicide attack has risen to 50. The Adamawa Police Command gave the new figure hours after the early morning attack. Earlier report said 30 persons died in the Mubi attack. 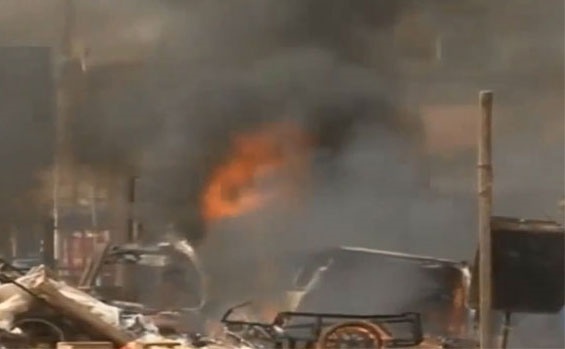 It is the worse suicide bomb attack that Nigeria is recording in more nine months. The command’s spokesman, Othman Abubakar, confirmed the development to the News Agency of Nigeria on Tuesday. A young boy was responsible for the blast which occurred during the early morning prayer, the police spokesman said. "We have 50 dead and we are now trying to get the exact number of those injured," Abubakar added. The attack happened in Dazala area of Mubi town in Adamawa on Tuesday around 5:00 a.m. local time when Muslims were observing the early morning prayer. The incident was the first in three years since the liberation of Mubi town from Boko Haram insurgents in 2014. No group has claimed responsibility for the attack, but an Islamic sect, Boko Haram, has claimed similar attack in the past. The group, which has been decimated by the military in counter-terrorism operations, has resorted to attacking soft targets in its push for an Islamic State and an end to Western education in the northeast region of Nigeria.